2) Angle Mount is specifically designed to work with the Ring Video Doorbell 2 (2nd Generation) / Ring Wi-Fi Enabled Video Doorbell (1st Generation) - Not for Ring Doorbell Pro released in 2016. 4) All the screws are made of the best quality stainless steel to make sure it will not get rusty and break off after a long time of installing. 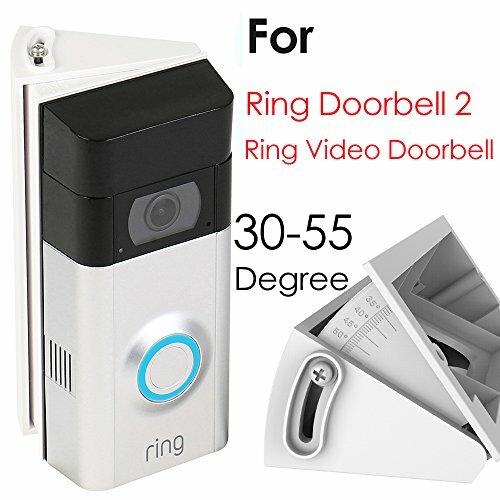 1) For Ring Video Doorbell 2 (2nd Generation) / Ring Wi-Fi Enabled Video Doorbell (1st Generation) (Not for Ring Doorbell Pro released in 2016).